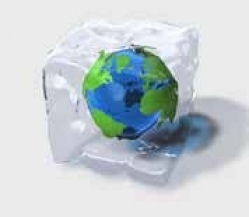 Winter 2015: When Was the Ice Age? Summary: There are many problems for those who hold to the ancient ice age theory. During the great ice age, approximately 30% of Earth’s land surface was covered in ice – including all of Canada and much of the US. We observe the signs of these gigantic glaciers, such as lateral and terminal moraines, which clearly mark the extent of this ice age. 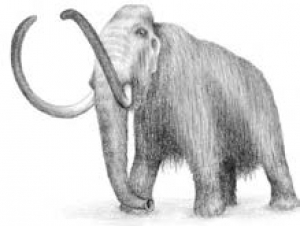 Millions of wooly mammoths are preserved in ice even today or have left their fossilized remains in the areas south of current ice levels. But for creationists, the question is often asked “When was the ice age?” After all, the accepted theory put forth by the scientific establishment cannot be true, because it claims the ice age began over 2 million years ago. But for creationists, the mystery is much more easily solved when viewed in light of God’s Word. Most creationists agree that there was an ice age that occurred soon after the Flood and lasted only about one to two hundred years. Noah’s Flood was a tremendous tectonic and volcanic event, and threw the entire planet’s environment into chaos. Initially, the warmer pre-Flood environment, combined with the latent heat potential of rapid precipitation experienced during the Flood, as well as the heat released from inside the earth as the “fountains of the deep” split open spewing their water into the atmosphere, caused a spike in overall planet temperatures. For years after the Flood, the world would have most likely experienced a sauna effect, with enormous quantities of water vapor in the atmosphere. Large amounts of volcanic aerosols would have been prevalent in the atmosphere as the Earth reeled from the recent splitting open that the Bible describes. These accumulating aerosols would have eventually generated a considerable temperature drop over land by reflecting much solar radiation back to space. This dramatic cooling effect, combined with the vast amount of moisture already in the air, could have caused sudden and significant snowfall that could easily account for all the ice needed for the ice age we see evidence for today. It’s quite possible that the Bible even alludes to this ice age in a couple places. Job, who lived about 500 years after the Flood might have been describing this phenomenon when he stated in Job 38:29-30, “Out of whose womb came the ice? and the hoary frost of heaven, who hath gendered it? The waters are hid as with a stone, and the face of the deep is frozen.” Another phenomenon related to the ice age is mentioned in Genesis 10:25: “And unto Eber were born two sons: the name of one was Peleg; for in his days was the earth divided.” Peleg lived about 100 years after the Flood and may have witnessed the rise of the oceans that would have resulted from the melting ice when the ice age drew to a close. This rise in water levels would have flooded land bridges and separated lands, thus “dividing” the earth. Furthermore, it may well be that the reason the ice age is not directly and explicitly discussed in Scripture is because the Scandinavian ice sheet and mountain ice caps were farther north than the region in which the Bible was written and the Bible writers were not aware of these ice sheets. Regardless, we may reasonably conclude from the evidence that the ice age did occur, is perfectly consistent with the Biblical flood account, and did not take place millions of years ago. Joshua Joscelyn writes on a variety of topics, including Creation, politics, history, and Biblical issues. He has worked with various Creation ministries and currently resides in Milton, FL, with his wife, Felicia, where he enjoys reading, studying, and ministering in street and prison evangelism.